Real 14k Rose Gold 3mm Genuine Solitaire Diamond Tennis Bracelet 6 1/2 Ct 8"
Ladies 10k Rose Gold Genuine Diamond Cuff Bangle Open Bracelet 1/2 Ct 6.25"
Hallmarked by London Assay Office. Hallmarked : London Assay Office. 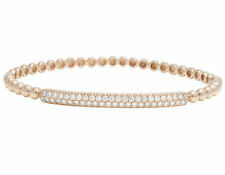 Super Gorgeous Diamond Set Tennis Bracelet made in 18K Rose Gold in 4-Claw Setting. Lock : Clasp Secure. Diamond Weight - 1.00 carats. 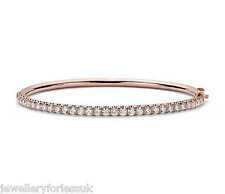 A Gorgeous & Stunning Rose Gold & Diamonds Set Half Circle Bangle. Diamond Weight - 0.80 carats. Handmade in 18K Rose Gold. Set with Natural Diamonds Half Way in 4-Claw Setting. Diamond Colour - GH. Diamond Clarity - SI1. Diamond Weight - 0.80 carats. Diamond Clarity - SI1. Handmade in 18K Rose Gold. Set with Natural Diamonds Half Way in 4-Claw Setting. Diamond Colour - GH. Gold Weight : 13.5 grams (Strong & sturdy, not flimsy). Diamond Weight - 1.61 carats. Handmade in 18K Rose Gold. Diamond Colour - GH. Diamond Clarity - SI1. Gold Weight : 22.64 grams (Strong & sturdy, not flimsy). Set with Natural Diamonds Half Way in 4-Claw Setting. A Gift That Will Leave Her Awestruck ! Round & Baguette. 1 Bracelet, 1 Authenticity Certificate. Natural Diamonds. Natural/Synthetic Diamonds. •Custom Jewelery Designing - We Can Manufacture Your Jewelery Design. (Style: Bangle. Never enhanced, or lab treated. All of our gold is 100% 14K or 18K SOLID gold. Nothing less. Main Stone: Diamond. Very competitive wholesale prices. c) No middleman. Shape: Round. Men's Ladies 10K Rose Gold Genuine Diamond Praying Angel Pendant 0.45 CT 1.25"
A distinctive pendant with a fusion of belief and class. This piece is masterfully designed and created with an image of angel pendant in a praying position and spread out wings in sparkling genuine diamonds. A Gorgeous & Stunning Rose and White Gold Diamonds and Madagascar Pink Sapphire Set Half Circle Bangle. Madagascar Pink Sapphire- 4.42 carats. Diamond Weight - 2.03 carats. Handmade in 18K White Gold & Rose Gold. Style: Cuff. Main Stone: Diamond. Never enhanced, or lab treated. All of our gold is 100% 14K or 18K SOLID gold. Nothing less. Style Bangle. Need your ring re- sized, polished, altered?. Secondary Stone Diamond. 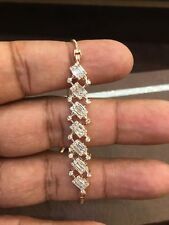 (0.40 Carat 14K Rose Baguette Diamond Bar Bracelet. Shape: Baguette. Main Stone Shape Baguette. Stone Shape Baguette. Main Stone: Diamond. Very competitive wholesale prices. c) No middleman. Never enhanced, or lab treated. A spectacular diamond bangle in 18k rose gold with 1.10 carat of premium quality diamonds. Diamond is also the gift for the 60th Diamond Wedding Anniversary. The April birthstone, diamond, in addition to being a symbol of everlasting love, was once thought to bring courage. A Gorgeous & Stunning Rose and White Gold Diamonds Half Circle Bangle. Diamond Weight - 2.16 carats. Handmade in 18K White Gold & Rose Gold. Diamond Colour - GH. Diamond Clarity - SI1. Gold Weight : 11.252 grams (Strong & sturdy, not flimsy). **Item Details** Model Number: SDL55008092WY, Metal: 14k Rose Gold, Weight: 3.7 grams, Theme: Beauty, Style: Charm , **Main Stone Details** Main Stone: Sapphire, Carat Weight: 0.06 CT, Shape: Round, Color/Clarity: Blue/SI1, Cut: Excellent, Certificate: GGA, **Other Diamond Details** Carat Weight: 0.47 CT, Shape: Round, Color/Clarity: G/SI1, Cut: Very Good,. (Carat Weight: 0.15 CT. Main Stone: Diamond. Never enhanced, or lab treated. All of our gold is 100% 14K or 18K SOLID gold. Nothing less. Shape: Round. Very competitive wholesale prices. c) No middleman. 14K Solid Rose Gold. We can make any jewelry in14K Gold ,18K Gold or950 Platinum and in all colors and color combinations. All of our jewelry issolid gold. Nothing Less than the karat weight as advertised! (Carat Weight: 0.20 CT. Never enhanced, or lab treated. All of our gold is 100% 14K or 18K SOLID gold. Nothing less. Shape: Round. Main Stone: Diamond. Very competitive wholesale prices. c) No middleman. Madagascar Pink Sapphire- 4.47 carats. A Gorgeous & Stunning Rose Gold Diamonds and Madagascar Pink Sapphire Earrings. Diamond Weight - 1.57carats. Handmade in 18K Rose Gold. Diamond Colour - GH. Diamond Clarity - SI1. Style: Chain. Main Stone: Diamond. Length: 7" Adjustable. Never enhanced, or lab treated. All of our gold is 100% 14K or 18K SOLID gold. Nothing less. Alldiamonds andgemstones are100% natural and not enhanced! (Carat Weight: 0.45 CT. Never enhanced, or lab treated. All of our gold is 100% 14K or 18K SOLID gold. Nothing less. Main Stone: Diamond. Shape: Round. Very competitive wholesale prices. c) No middleman. Men's 10K Rose Gold Real Diamond Miami Cuban Link Bracelet 4 CT 9MM 8"
Beautifully crafted in10K Rose gold, this straightforward look features sleek Miami Cuban links studded with sparkling round-cut4.0ct. diamonds with clarity rankingVS2-SI1 and G-H color and a bright polished finish. Length of charm: 0.45". Width of charm: 0.45". Main Stone: Diamond. Never enhanced, or lab treated. All of our gold is 100% 14K or 18K SOLID gold. Nothing less. Alldiamonds andgemstones are100% natural and not enhanced! (Carat Weight: 0.20 CT. Main Stone: Diamond. Shape: Round. Never enhanced, or lab treated. All of our gold is 100% 14K or 18K SOLID gold. Nothing less. Very competitive wholesale prices. c) No middleman. 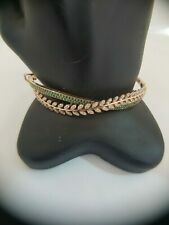 **Item Details** Model Number: SDL55001958WY, Metal: 14K Rose Gold, Weight: 3.1 grams, Length: 7.0", Adjustable, Dimensions For Charm: 1.90" Length / 0.20" Width - Dimensions for charm, Style: Finger Bracelet, **Main Stone Details** Main Stone: Diamond, Carat Weight: 0.16 CT, Shape: Round, Color/Clarity: F/SI1, Cut: Excellent, Certificate: GGA, **Other Diamond Details**. (Main Stone: Diamond. Shape: Round. Length: 7.0" Adjustable. Never enhanced, or lab treated. All of our gold is 100% 14K or 18K SOLID gold. Nothing less. Very competitive wholesale prices. c) No middleman. **Item Details** Model Number: SDL55001777V2WY, Metal: 14k Rose Gold, Weight: 2.6 grams, Length: 1.20", Width: 0.20", Theme: Beauty, Style: Chain, **Main Stone Details** Main Stone: Diamond, Carat Weight: 0.18 CT, Shape: Round, Color/Clarity: G/SI1, Cut: Very Good, Certificate: GGA, **Other Diamond Details**. (Style: Cuban. Never enhanced, or lab treated. All of our gold is 100% 14K or 18K SOLID gold. Nothing less. Main Stone: Diamond. Shape: Round. Very competitive wholesale prices. c) No middleman. Carat Weight: 0.17 CT. Never enhanced, or lab treated. All of our gold is 100% 14K or 18K SOLID gold. Nothing less. Main Stone: Diamond. Shape: Round. Style: Chain. Very competitive wholesale prices. A Gift That Will Leave Her Awestruck ! Precious/Artificial Jewellery. Precious Jewellery. Round & Baguette. 1 Bracelet, 1 Authenticity Certificate. 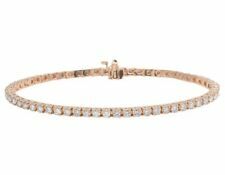 Pave 2.11 Cts Natural Diamonds 14K Rose Gold Bracelet - YouTube. 1 Bracelet, 1 Authenticity Certificate. Natural Diamonds. Natural/Synthetic Diamonds. Price May Vary. Gold Purity. Gold Color. In The Box. Paste link into a browser window:[isdntekvideo]. Style: Cuban. Carat Weight: 1.20 CT. Never enhanced, or lab treated. All of our gold is 100% 14K or 18K SOLID gold. Nothing less. Main Stone: Diamond. Shape: Round. Very competitive wholesale prices. **Item Details** Model Number: SDL55002975WY, Metal: 14K Rose Gold, Weight: 1.2 grams, Length: 7.0", Adjustable, Width: 5.6 MM, **Main Stone Details** Main Stone: Diamond, Carat Weight: 0.05 CT, Shape: Round, Color/Clarity: F/SI1, Cut: Excellent, Certificate: GGA, **Other Diamond Details**. **Item Details** Model Number: SDL55008754WY, Metal: 14K Rose Gold, Weight: 3.2 grams, Length: 1.30, Width: 0.20", Theme: 7", Adjustable, **Main Stone Details** Main Stone: Diamond, Carat Weight: 0.02 CT, Shape: Round, Color/Clarity: G/SI1, Cut: Very Good, Certificate: GGA, **Other Diamond Details**. (Carat Weight: 0.05 CT. Never enhanced, or lab treated. All of our gold is 100% 14K or 18K SOLID gold. Nothing less. Shape: Round. Main Stone: Diamond. Very competitive wholesale prices. c) No middleman. Clarity:SI1 Natural. "Blood" Diamonds Conflict diamonds have funded devastating civil wars in Africa, ending millions of lives. Conflict diamonds, also known as "Blood diamonds". Best Dealz is a part of the Kimberly Process, all our diamonds are conflict free. **Item Details** Model Number: SDL55005673V2WY, Metal: 14K Rose Gold, Weight: 13.1 grams, Length: 7.0", Width: 6.0 MM, **Main Stone Details** Main Stone: Diamond, Carat Weight: 1.68 CT, Shape: Round, Color/Clarity: F/SI1, Cut: Excellent, Certificate: GGA, **Other Diamond Details**.